SOLD TO THE LOUVRE, ABU DHABI This uniquely innovative work by Hans Holbein, the greatest painter of the northern Renaissance, is the first fully all’antica portrait in English painting. It is also the only known surviving portrait from Holbein’s English period remaining in private hands. Its composition, with the sitter depicted head and eyes uplifted to the heavens seeking inspiration, unadorned of any ancillary elements of costume, torso cut off as if a bust, with the quality almost of a sculptured relief, is the very essence of classicism. 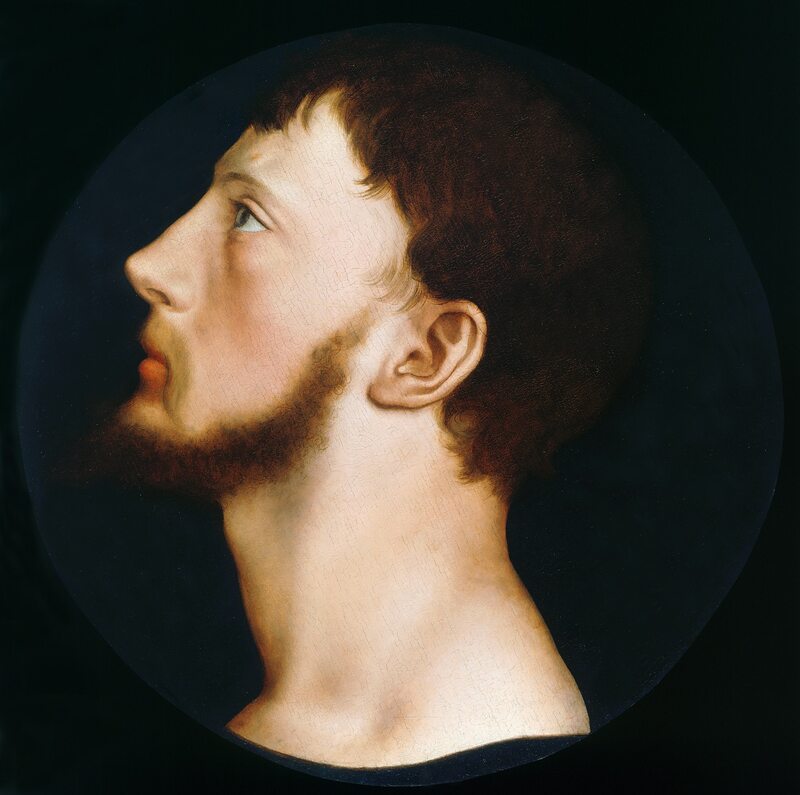 Wyatt’s father, Thomas Wyatt the Elder, was an eminent poet and scholar of the classics, and the embodiment of the Renaissance man and a central part of the dawn of the Renaissance in England. One of his father’s most treasured possessions is known to have been an antique cameo ring, bearing a portrait profile of Julius Caesar – a man who epitomised the classical virtues of fortitude, honesty and resilience. This may well have been the inspiration for our painting which, in terms of English portraiture, is unprecedented and a major landmark in every way to the reception of the new Renaissance ideals at the court of Henry VIII. Certainly no other artist working in England at this time – apart from the genius that was Holbein – was capable of the vision to create this design.